Child Care Aware® of America is a national membership-based nonprofit organization working to advance a high-quality, affordable child care system that supports children’s growth, development, and early education. Founded in 1987, we advocate for child care policies that improve the lives of children and families, lead research that advances the child care and early learning field, leverage technology to help families make informed decisions about child care and provide professional development for child care providers. Child Care Aware® of America offers several types of membership. When registering, please select the type which best fits your current role. Organizational memberships are a great way for your entire organization to stay connected at the national level. Organizations that may be interested in membership include Child Care Resource and Referral (CCR&R) agencies, child care providers, or non-profits that support child care initiatives. 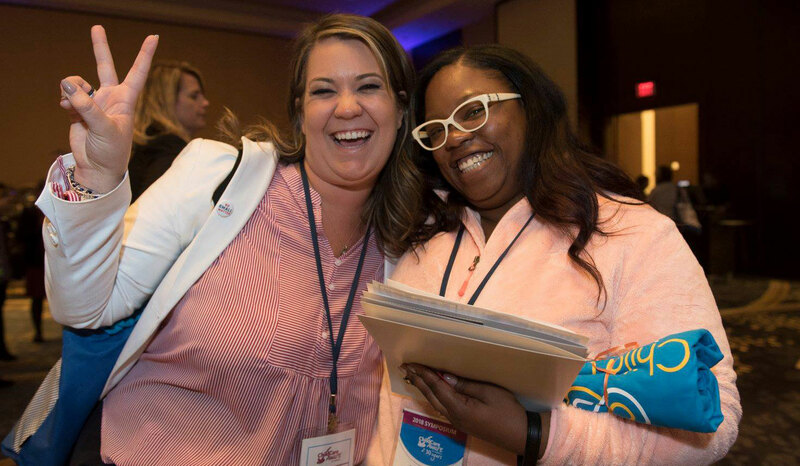 Individual memberships connect you with information and resources that support child care professionals and leaders across the nation. Individuals who may be interested in membership include child care providers or individuals who work for CCR&Rs or State Networks. If you have questions about membership, we would love to visit with you. Contact our Partner Success team at membership@usa.childcareaware.org today! We offer an online annual membership renewal process through a secure member portal. For support, please reach out to our Partner Success team at membership@usa.childcareaware.org. Want to share membership information with others? Download our one-page guide by clicking the image below.